Nilfisk One is a small & handy vacuumer and is therefore perfect for small places and confined spaces. The Nilfisk One is built with you in mind. All models are fitted with our neat storability solution and come with Energy “A” or ‘A++’ ratings. The Nilfisk One is a small & handy vacuum cleaner and is therefore perfect for small places and confined spaces. To make it even easier to use, we have also fitted the Nilfisk One with click fit in the nozzle. 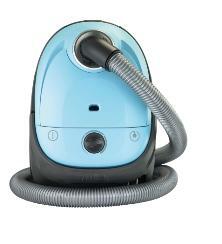 Are you living in a smaller apartment or have a need for a second vacuum cleaner, this is the machine for you! The Nilfisk One range has been designed with today’s living in mind. It’s compact for easy storage without compromising on performance, manoeuvrability or style. Living spaces today are becoming smaller and this means space is more precious; Nilfisk have designed the One Series with this thought in mind. The smaller design means easy storage in any living situation, along with a specially designed storage belt that enables the hose to be held in place when wrapped around the vacuum. You’ll also spend less time cleaning with a machine that provides all the performance of dust pick up that most would expect to be achieved by only larger vacuum cleaners. You can effortlessly adjust the motor speed to meet your specific cleaning task, and with handy on-board accessories, easy manoeuvrability and a dust bag full indicator showing you when to change the bag, cleaning could not be made easier. On top of all that you can choose a lot of different colors that match your décor. The Nilfisk One series of vacuum cleaners is another example of quality engineering and modern features that Nilfisk are renowned for. Storability - No problems getting this small vacuum into a storage solution. Just wrap the hose around the machine and away it goes into storage. Small & Handy - High maneuverability and easy access to confided spaces. Cleaning performance - Dust pickup on carpet a ‘B’ rating and dust pick up on hard flooring an ‘A’ rating.